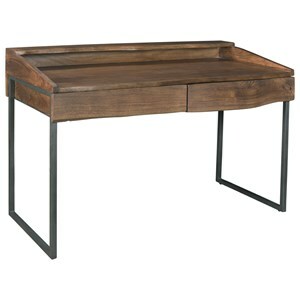 Modern sophisticated and stylish describe this two drawer writing desk. 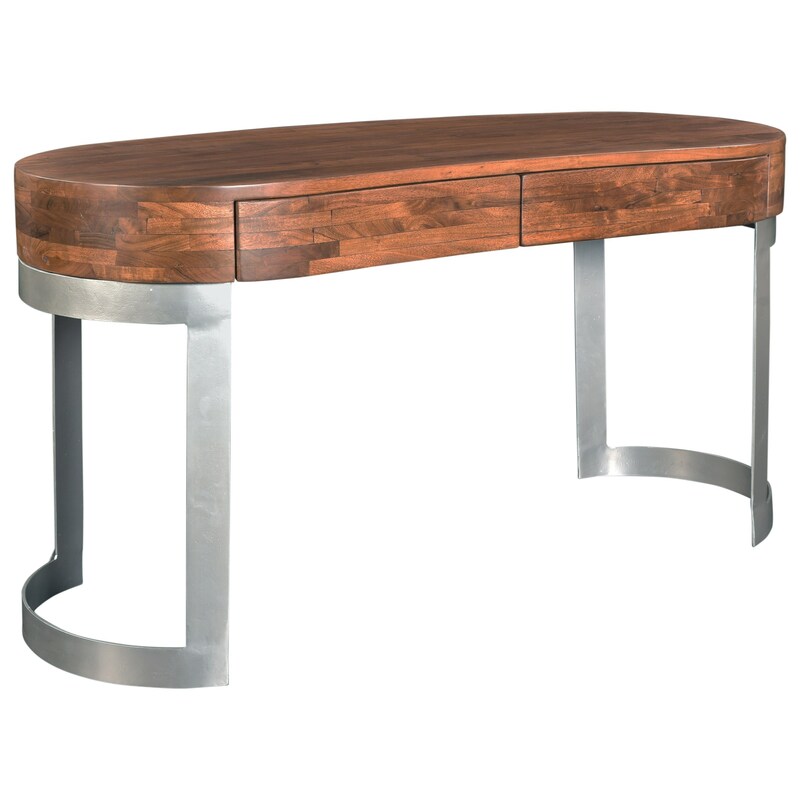 The gently curved kidney shaped desk is constructed of solid acacia with silver powder coated curved metal sides. The extended drawer glides offer easy access to the contents inside. Ships in two cartons. 98292 Writing Desk Base - 98223 1 0" 0" 0"
98291 Writing Desk Top - 98223 1 0" 0" 0"